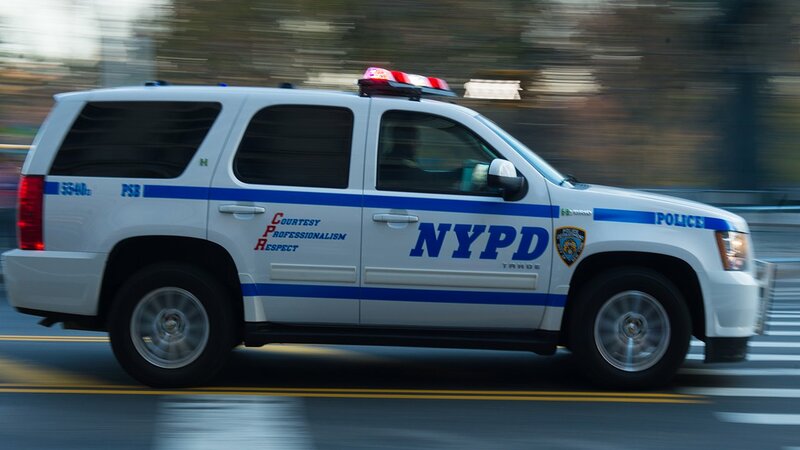 HARLEM, Manhattan (WABC) -- A young NYPD officer who is also a US Army veteran is being credited for using his training and quick innovative skills to save the life of a suicidal woman in Harlem. 28-year-old Kevin Strawn and his partner, who are both assigned to the 28th Precinct, responded at 10:44 p.m. Saturday to a report of a suicidal person at 321 West 118th Street, according to the NYPD. Police were called to the location after receiving a call from a man who told the 911 operator that his wife was locked in her bedroom where he feared that she did or would harm herself. When the officers arrived, they tried to reason with the man's 45-year-old wife through the door, but the distraught woman demanded that everyone leave her alone. The officers tried to gain entry into the room and had to push their way through the door which was blocked by a dresser. When they entered the room, they found the woman lying face up bleeding from razor cuts to each wrist. Officer Strawn removed the NYPD's department issued tourniquet kit from his partner's belt and immediately applied pressure to the woman's left shoulder in order to stop the blood flow. Strawn then improvised and found a dress shirt which he used to fabricate a second tourniquet for the woman's right arm and successfully stopped the bleeding enough to revive the woman. The officers continued to apply pressure to the woman's wounds until EMS arrived. The officers together with the EMTs wrapped her in a bed sheet and carried her to the ambulance which transported her to St Luke's Hospital. She is reported to be in stable condition. A crude suicidal note was found inside the room. Officer Strawn has been a member of the NYPD for two years.